Google’s Android releases have become a bit confusing recently, with Gingerbread, Honeycomb and even Ice Cream Sandwich all in various stages of release and coming soon to an Android smartphone near you. Or is it an Android tablet? Or is it a tablet and a smartphone?! Never fear – I’m here to help your Android confusion, as I think I’ve finally worked out Google’s plans for its Android smartphone and tablet strategy. Gingerbread’s for smartphones, Honeycomb’s for tablets and Ice Cream Sandwich is for…er? Gingerbread, as we all know, is the next version of Android (version 2.4) designed purely for smartphones, and will appear on new devices such as the Sony Ercsson Xperia Play in a few weeks time. Honeycomb, meanwhile, is a version of Android designed purely for tablets with new features that simply won’t work on the restricted screen size of smartphones. No confusion there, then. Except for the fact that Android’s head of used experience, Matias Duarte, told Engadget that Honeycomb has been designed for all Android devices – from tablets to samrtphones, printers and even clock radios! More confusing still is the version of Android beyond Honeycomb that is being designed for…smartphones! So what’s going on? Which version of Android will work on tablets and which on smartphones? The answer comes in part from Google’s announcement last week on Honeycomb, and from some new information we’ve just learned about Ice Cream sandwich. From last week’s announcement, we learned about Application Fragments. These are individual components that act as building blocks for an app. 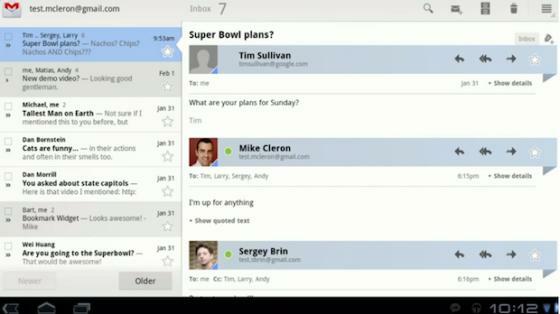 An example is the list of messages in the GMail app. Another App Fragment is an individual email message (see the photo, below). On a tablet, developers can show two or more App Fragments together on the same screen, where they appear as different windows placed side by side. This is easily achieved as a tablet has a large enough screen to display these Fragments next to each other. On a smartphone, though, it’s a different story. The screen isn’t big enough to show these App Fragments side by side – but it can show them one at a time. As such, on smartphone, you’d see one App Fragment showing the list of messages, and when you click on one, you’d see the next App Fragment that displays it as an individual email message. It’s exactly what you see now on your Android phone, with the back button used to go back from the email message to the list of messages in GMail. The clever part comes from the fact that the same App Fragment is used in both the tablet – where the Fragments are shown side by side – and the smartphone – where they’re shown one after the other as separate screens. The developer only needs to code the App Fragment once, and doesn’t have to write two different versions of code for both the tablet and the smartphone. Honeycomb will take care of making sure the App Fragment is displayed in the best way according to the screen size of the device. So where does Ice Cream Sanwich fit into my mouth all this? Honeycomb required a radical redesign of Android. So radical that many elements of it simply don’t exist on previous versions. App Fragments, for example, powerful though they are, are simply not available even on Gingerbread. But they will be on Ice Cream Sandwich! Ice Cream Sandwich is the unifying version of Android that brings the power of Honeycomb – which has been optimised for tablets – to smartphones. So now it’s all clear! 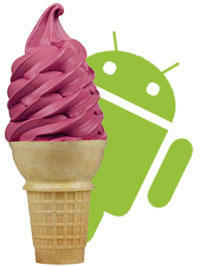 Ice Cream Sandwich is the first of a new line of smartphone Android that’s optimised for smartphones, but which contains features of Honeycomb that let the same Honeycomb apps that were designed for tablets also work on smartphones. Phew! At least that’s all clear then! Ice Cream Sandwich will apparently be released in the summer and will bring the Honeycomb look and feel (and, crucially, apps and App Fragments) to smartphones. 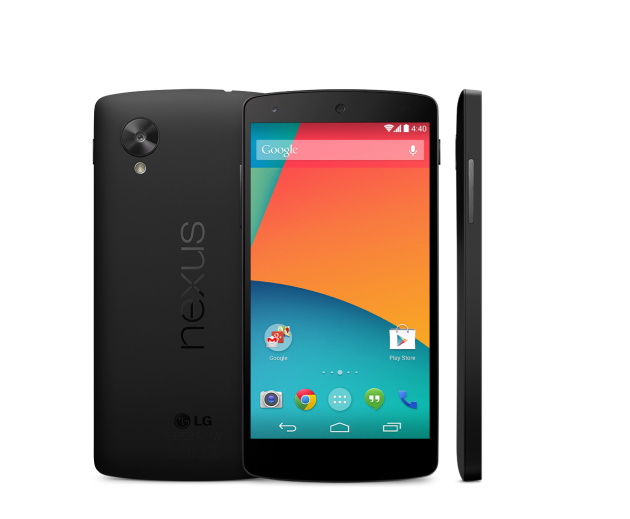 Expect to see it released first on the Nexus S, and later on all smartphone whose manufacturers will support it towards the end of 2011.